Stylin' Indians! They were everywhere at GON. I definitely didn't get snaps of them all, but here's some! And here is a quick post on one of my favorite fashionistas - Tracy Toulouse! Hailing from the North shores area in Northern Ontario, Toulouse is a member of the Sagamok Anishnawbek First Nation. Toulouse shows her work throughout Canada and is known for her modern fashion lines as well as for her creation of elaborate and intricate custom regalia for clients. 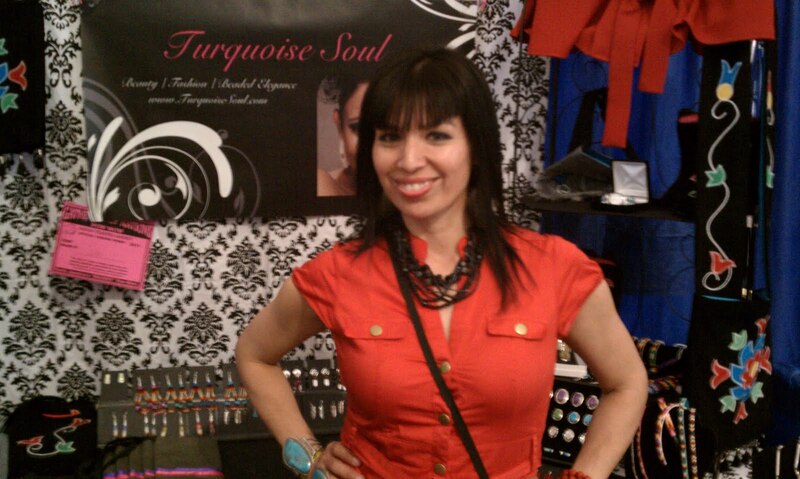 She shared a booth with Wabanoonkwe Cameron-Hernandez (the brains and style behind Turquoise Soul - more to come on this), and she brought some fabulous Ojibwe fashion designs to the powwow scene. 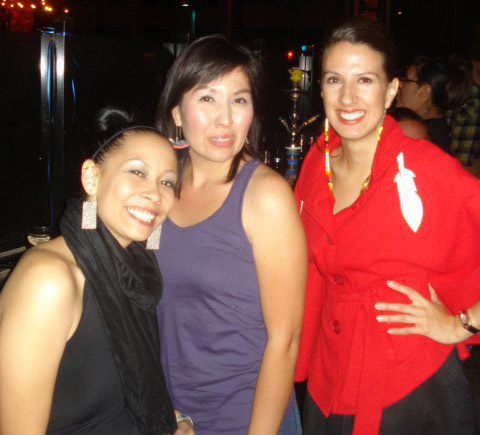 I snatched up one of her red jackets and wore it out to the NMS Red Runway event held at the 405 Lounge on Central, where I met up with Tina and Andrea (who both make super fresh earrings (aka, you can expect a future post on these gals)). Click here to read the Beyond Buckskin Designer Profile on Tracy Toulouse. You can also find her on Akwekon.